Catch clients' eyes with the colors and size of this book tote! Comfortable, easy-care 4-oz cotton fabric makes this bag perfect for books, catalogs and bound materials. 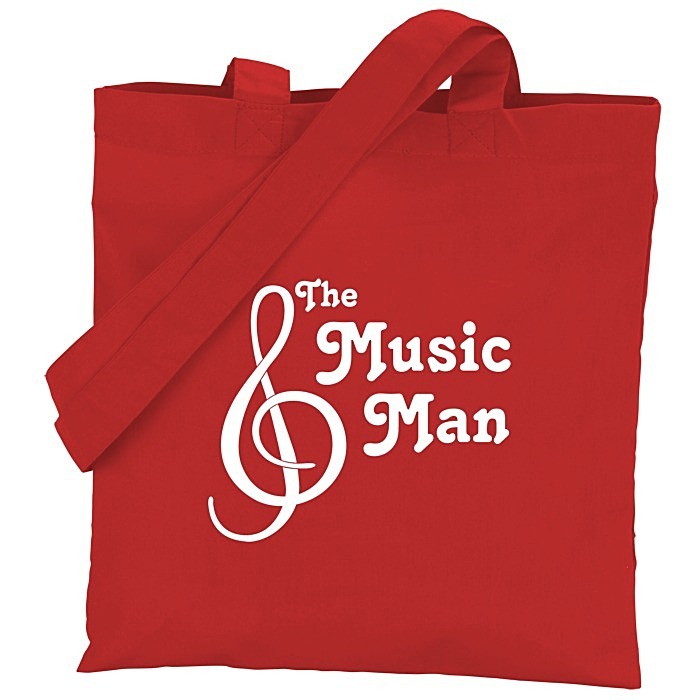 As a fundraiser gift or trade show giveaway, this printed tote is sure to be reused and cherished. Your price includes a one-color imprint on the front of the bag.